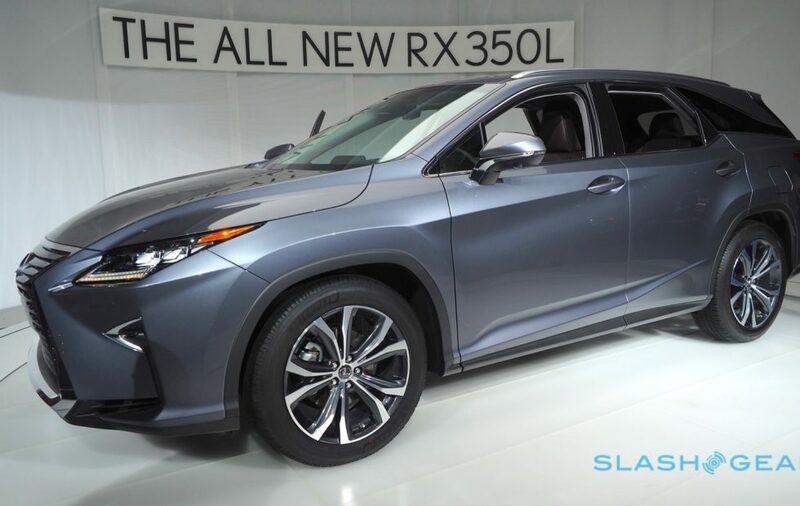 Home / Exlink Autos / news / Checkout The Upgraded Lexus SUV RX-350 - Now RXL - "2018 RX-350L & RX-450hL"
Checkout The Upgraded Lexus SUV RX-350 - Now RXL - "2018 RX-350L & RX-450hL"
Just think of all you have ever wanted in a car, sum them up, add that oh am on a budget and yet I want the best, and tell me if you are not thinking Lexus right now!!! Well, if you are not, then you have to read this article. And this is not about sales, this is the real deal. The Lexus RX may be the automaker’s best-selling vehicles, but for some the full-sized luxury SUV just isn’t quite big enough. 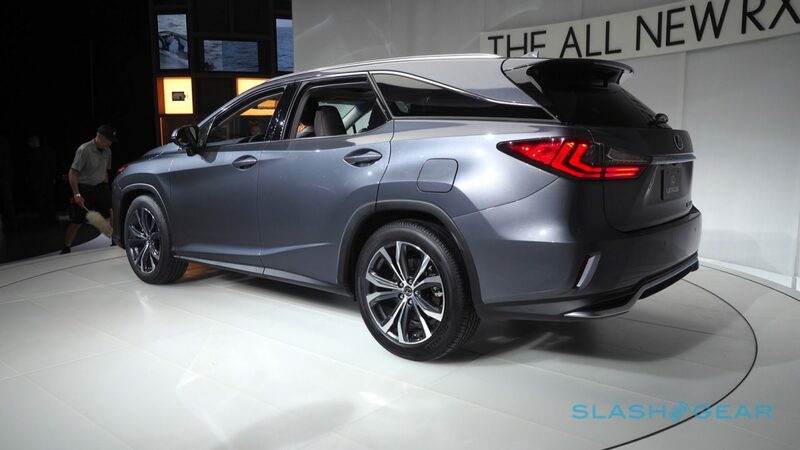 Enter, therefore, the Lexus RX L launching at the LA Auto Show 2017, an extended version of the SUV with a choice of six or seven seats courtesy of an added third row. The 2018 RX 350L and RX 450hL will be offered as seven seaters as standard. They have a 40/20/40 bench-type second row, and two seats behind that. 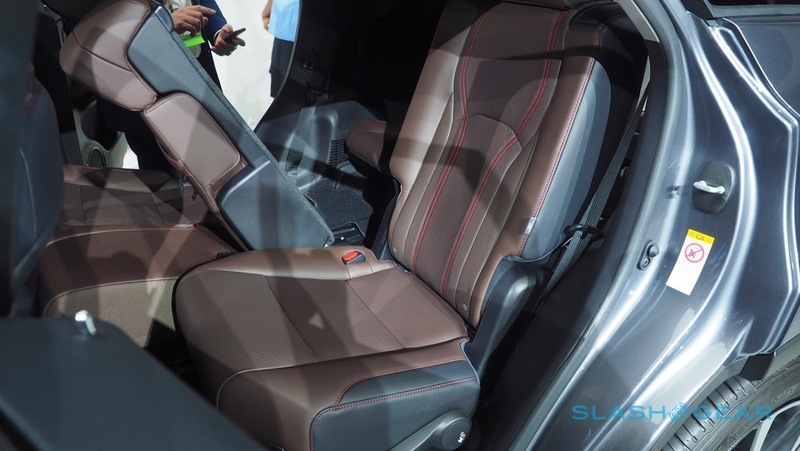 The body has been stretched 4.3 inches, while the tailgate window has been pushed to a steeper angle to maximize legroom and headroom respectively. While Lexus may have added those extra inches, how you use them is pretty much down to you. 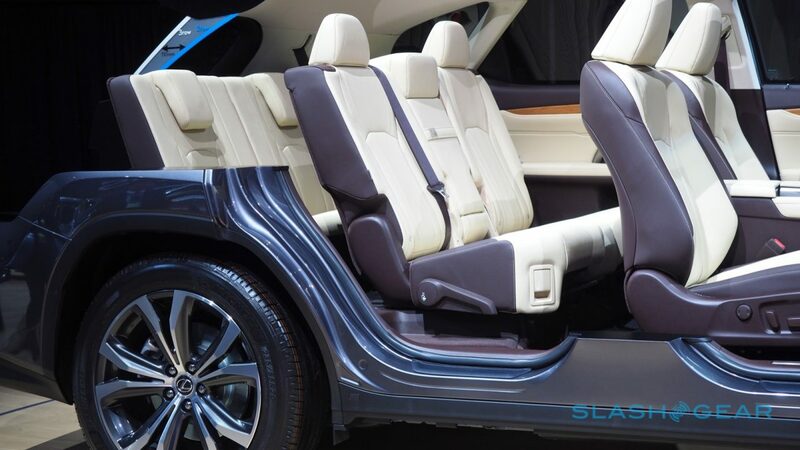 The middle row slides forward and backward – at its extremes, it’s either nudged up against the back of the front seats, or against the front edge of the third-row seats. Figure on legroom being a battle of sorts: space at the very rear is okay for headroom, but for legs it’s really more suited to children. Two versions of the car will be offered. On the one hand, there’s the 2018 RX 350L, with Lexus’ 3.5-liter V6 engine and an eight-speed transmission. It packs 290 horsepower and 263 lb-ft. of torque, and can be had in either front-wheel drive or all-wheel drive. The latter can switch into FWD mode when not under load, to maximize efficiency. Alternatively, there’s the RX 450hL Hybrid. That has AWD as standard, and combines a 3.5-liter V6 gas engine with two electric drive motor-generators. Total horsepower is 308 HP, with the SUV using the independent rear electric motor to drive the rear axle. It also has an electric-only mode, though don’t expect too great a range. Premium and Luxury packages on both models will add things like wood trim in bamboo, walnut, mocha, or laser-etched Gray Sapelle Wood with aluminum inserts. 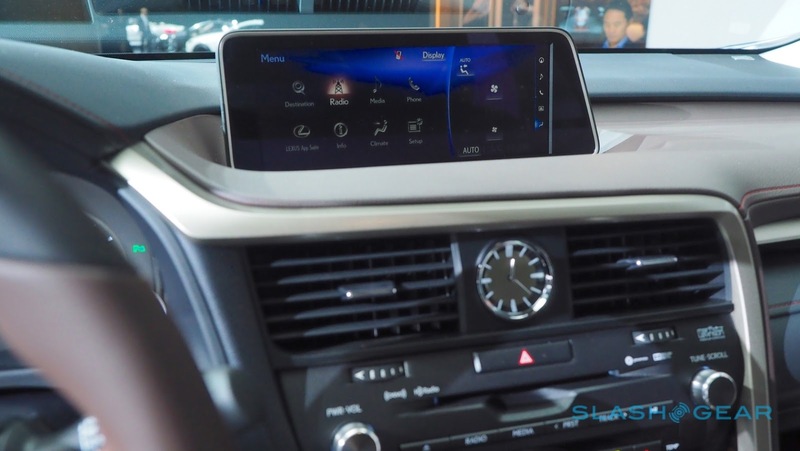 A head-up display is optional, while the standard audio system has an 8-inch display, Bluetooth, two USB ports, and nine speakers. The second-row gets USB ports for charging. Throw in the Navigation Package, meanwhile, and that adds a 12-speaker audio system and a larger 12.3-inch display. 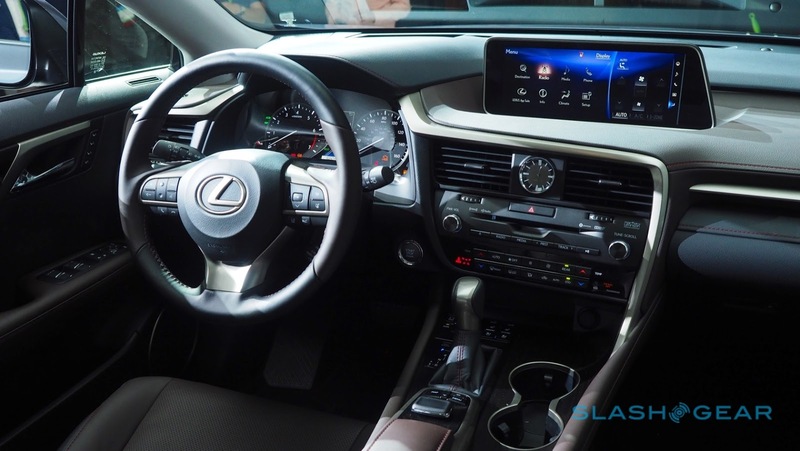 It’s still not a touchscreen, mind, using Lexus’ controversial Remote Touch interface. Finally, the 835W Mark Levinson audio system supports surround sound across its 15 speakers. Sales of both models will start later in 2017. The 2018 RX 350L will start from $47,670 plus destination, while the 2018 RX 450hL will start from $49,070 with AWD as standard.